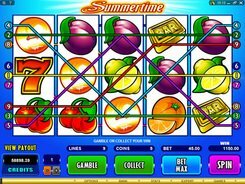 Summertime is a 5-reel 9-payline slot based on a summer theme, as the name implies. 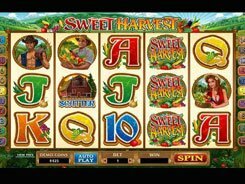 The slot has a fairly simple design that is very reminiscent of classic slot machines. The symbol set incorporates classic symbols such as cherries, strawberries, plums, bells, sevens, etc. 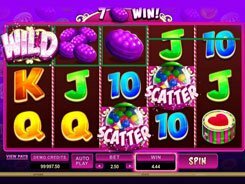 A coin value is configured from $0.01 to $2, with up to 5 coins allowed per line, therefore the floor and ceiling wagers are $0.01 and $90. The highest prize worth a stunning $90,000 is paid out for aligning five wild symbols across a payline. A wild is a substitute symbol to all other regular symbols. Besides, it doubles payouts when used as a substitute. 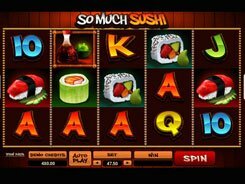 The second largest award worth $45,000 is granted for rolling up five scatter symbols no matter where they have occurred. 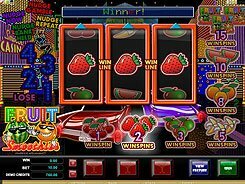 At least three scatters unlock 15 retriggerable free spins at a x3 multiplier. 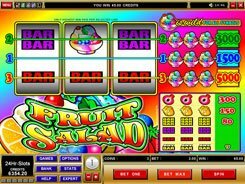 To sum up, Summertime is very generous in payouts and is a good option for both first-timers and pros alike. PLAY FOR REAL MONEY!